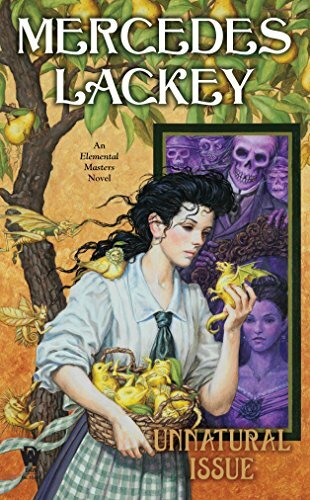 The sixth novel in Mercedes Lackey's magical Elemental Masters series reimagines the fairy tale Donkeyskin in a richly-detailed alternate Victorian EnglandSusanne Whitestone, an Earth Master magician, had always lived in Whitestone Manor and liked nothing more than to keep the land itself and its animal inhabitants thriving. For the last eleven years, she has had a special teacher in the forest—a powerful fae known only as Robin. Susanne, at twenty-one, doubted any mortal Earth Master could find fault with the practices that Robin taught her.But though Susanne was her father’s only child, she had never set eyes on him, for Richard Whitestone lived as a recluse in a sectioned off wing of the manor. Richard Whitestone was also an Earth Master, but since his beloved wife’s death in childbirth, he had lived a kind of half-life. He hated even the thought of the child who had ended his wife’s life. His own life had withered, and as he had grown bitter, and blighted, so had everything he could see from his windows—the once-beautiful private garden was now as stark and wizened as his heart. But as the years passed, Richard found that there was one thing that gave him solace—the thought, an obsession, that he could bring his Rebecca back to life through necromancy. He would need an appropriate vessel for her spirit, a young woman, preferably one who looked like she did and was approximately the same age that Rebecca has been at the time of her death—twenty-one....and Susanne was the image of her mother. A fascinating tale of fantasy and history. While enjoying a world of elemental magic, I easily learned much about WWI also. For this reason, the series would be one I would recommend to teachers and parents as an educational option for young adults who enjoy this genre. Additionally, although this is the sixth book in the series it is the first book I had read, and I found that it stood on it's own quite well.